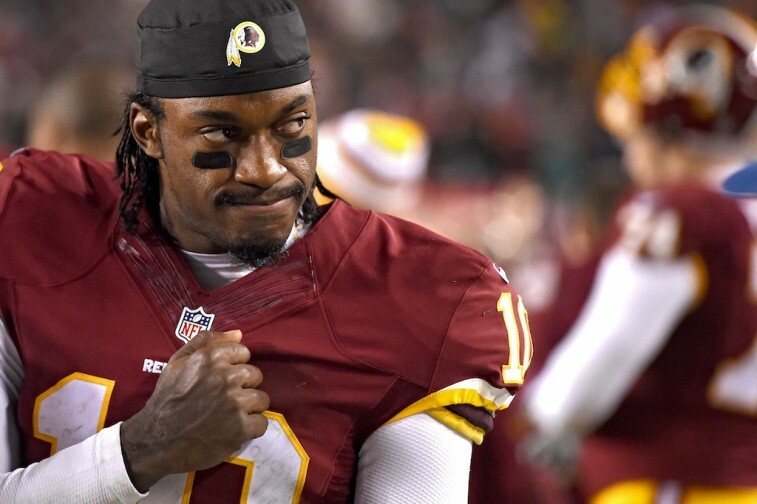 Will the Redskins Regret Picking Up RG3’s Option? The Washington Redskins didn’t need to wait until May 3 to decide what they were going to do with Robert Griffin III. The team had made its decision “a while back.” Monday was simply the day things became official, as the organization chose to exercise the fifth-year option on the quarterback’s contract. By picking up the option, the Redskins will maintain contractual control over RG3 through the 2016 season. While the QB is set to make a base salary of $3.27 million in 2015, this option will see Griffin III paid $16.2 million in his fifth year. That’s a lot of money to throw at a kid who only played in nine games last season. Does this mean the organization actually believes its young quarterback will return to his 2012 form, or is there something else at play here? The truth is, this choice isn’t as risky as it may seem. Of course, that could certainly change in an instant. 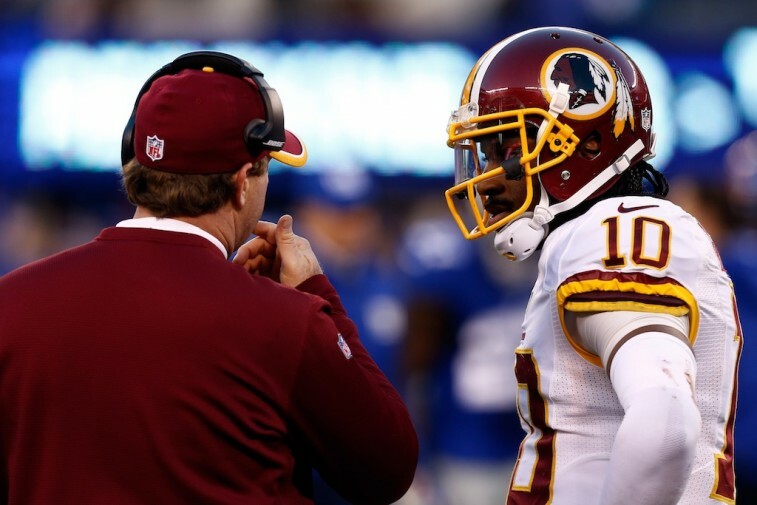 Washington has spent the entire offseason supporting its embattled quarterback. Second-year coach Jay Gruden even went so far as to name RG3 the starting quarterback heading into this upcoming season. For a guy who came into the NFL with such promise and hype, and then slowly started to lose confidence in himself, it has to feel good to have the whole franchise throwing its weight behind you. Now that the team has decided to pick up Griffin’s option for 2016, the quarterback will be able to come into training camp with complete peace of mind that the job is his. Except that might not be the case. As you can see, the decision to exercise the RG3’s fifth-year option is not a guarantee that he will be the man under center moving forward. What it does do, however, is allow for the organization to control the QB should it want him beyond 2015. There is a big difference between the two scenarios. That doesn’t necessarily mean Washington isn’t playing with fire here. On the contrary, that’s exactly what the team is doing. Griffin flashed his upside in 2012, when he went on to win the NFL Offensive Rookie of the Year award. The team would love for him to return to the form that allowed him to pass for 3,200 yards, 20 touchdowns, and just 5 interceptions. This is the main reason for picking up the fifth-year option. Should RG3 prove that he is capable of being the organization’s franchise quarterback, then the Redskins will have him under contract for another season. However, if he can’t get back to performing at a high level, the team is still covered. While it may seem appear that Washington will owe Griffin $16.2 million in 2016, that isn’t the whole story. The contract is only fully guaranteed for injury. If there is no injury and RG3 doesn’t look like the guy moving forward, the Washington can release him prior to the 2016 season, and its cap won’t be affected. Again, things are clearly in the organization’s favor. The only situation that could damage the team’s position would be if the quarterback got injured this upcoming season. Therein lies the risk and the potential pitfalls of this scenario. 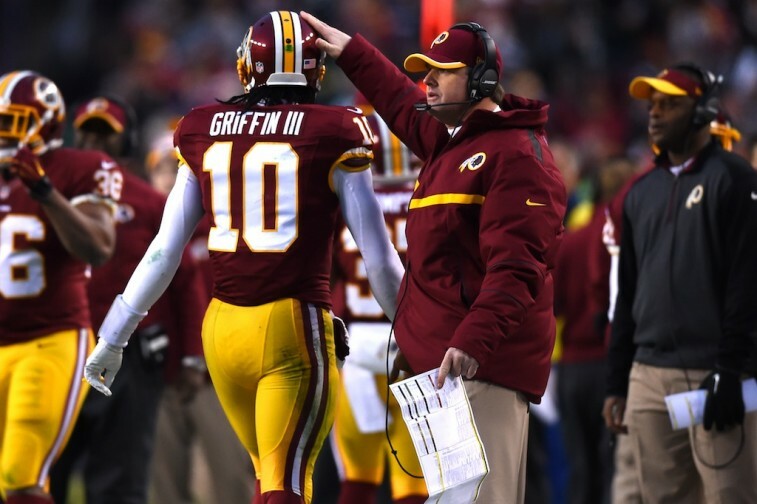 The Washington Redskins need RG3 to stay healthy. It’s that simple. Whether he goes out on the field in 2015 and destroys the rest of the NFL is irrelevant. What’s most important is that he doesn’t get injured. It sounds cruel, but it’s true. Don’t get us wrong — if Griffin plays at a high level, then everyone wins. If he doesn’t, then the Redskins can move on to the next quarterback, no harm, no foul. But if he gets hurt, it’s Washington’s wallet that will suffer. Right now, the organization has no reason to regret picking up the option. Not yet, anyways.